Studied Anthropology of the Americas, Ethnology, Assyriology, and Indology in Hamburg. Received scholarship from the German National Academic Foundation. Obtained doctorate in Hamburg in 1989 with a dissertation about the development of the Maya script. After completing of doctoral studies, moved to Bonn and organized the exhibition „The World of the Maya“ (Hildesheim, Vienna, Mannheim, Cologne) in collaboration with the Roemer-und-Pelizaeus-Museum in Hildesheim. Received scholarship (1992-1995) for postdoctoral qualification from the German Research Foundation for the project „Oral Traditions of the Cruzoob Maya in Mexico“ and various research projects in Guatemala, Mexico, Belize, and Honduras. 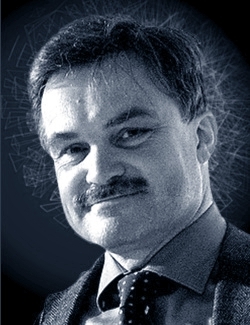 Interim professor in Freiburg and Leiden. Obtained postdoctoral qualification in Ethnology in Bonn in 1999 and received Heisenberg scholarship from the German Research Foundation in the same year. Holder of Linda Schele Chair for the Art and Writing of Mesoamerica at the University of Texas at Austin from 2000-2004. Work on writing systems, particularly that of the Maya and those found elsewhere in Mesoamerica, which goes hand in hand with engagement with iconography. In the context of political anthropology, he is also interested in the political organization of agricultural societies and the Classic Maya. Additional points of focus are the ethnography of speaking and the recording of oral tradition, the historical continuity of history and culture in Mesoamerica, the ethnohistory of indigenous resistance movements, millennialism, and revitalization movements, as well as the preservation and transmission of indigenous culture in collaboration with its bearers. 1991 An Investigation of the Primary Standard Sequence on Classic Maya Ceramics. In: Sixth Palenque Round Table, 1986 [Palenque Round Table Series, VIII], edited by Merle Greene Robertson and Virginia Fields: 223-232. Norman: University of Oklahoma Press. 1990 The Primary Standard Sequence on Chocholá Style Ceramics. In: The Maya Vase Book II, edited by Justin Kerr: 320-330. New York: Kerr Associates. 2006 Die Maya: Schrift und Kunst. Berlin and Köln: SMB DuMont.